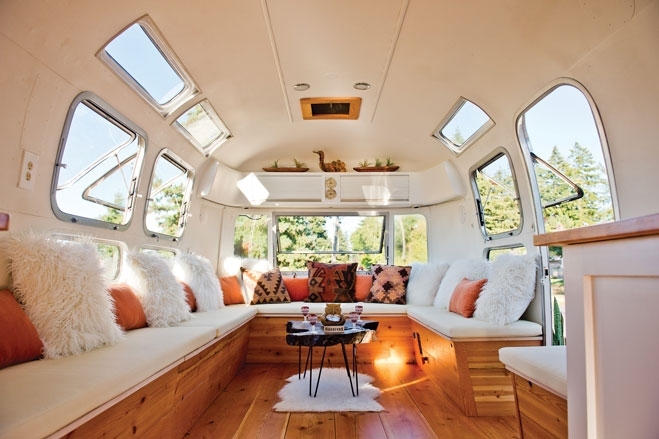 For a chic spot in which to chill before the big moment or a cozy cocktail lounge for reception guests, consider parking this restored 1974 Airstream trailer at your wedding or party venue. Portland’s Stolen Pony Lounge, a 31-foot, wheeled wonder that launched in January 2017, comes decked out with ample seating for 15 people, space for serving drinks and eats (BYO, of course), and room to house its optional photo booth. A neutral interior with repurposed hardwood floors, white walls and skylights for maximum natural light lets you jazz up the rig according to your theme, though owner Shelby Wilson notes one of their curated looks can be selected for an additional cost. To book the Stolen Pony (from four- to 10-hour time slots) online for your Portland-area soiree, go to stolenponylounge.com.